Giving Tuesday is a global day of giving that harnesses the collective power of individuals, communities and organizations to encourage philanthropy and to celebrate generosity worldwide. Following Thanksgiving and the widely recognized shopping events Black Friday and Cyber Monday, this year’s Giving Tuesday will take place on November 27th and will kick off the giving season by inspiring people to collaborate and give back. Please help return this historic California Baldwin Logging Mallet back to service on the Niles Canyon Railway located between Fremont and Sunol, California. Running gear repairs on the rear truck, suspension and main rod bearings were started in February of 2018. As the locomotive has been taken apart, the extent of the wear over the years of operation has far exceeded our worst expectations – Our organization has contracted with Steam Services of America to help our volunteers complete this work in the short time frame required to return the locomotive to service for next year’s 150th Anniversary Celebration of the Transcontinental Railroad Completion. Needless to say, the cost of project has climbed way above the expected budget due to all the additional machine work required. 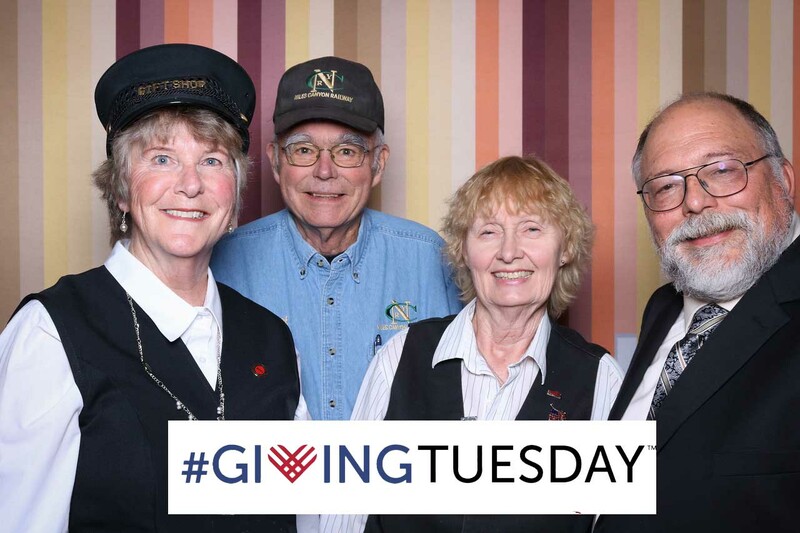 The Pacific Locomotive Association requests your donation to help raise $50,000 in funding to complete these important repairs to return the Clover Valley #4 to service. 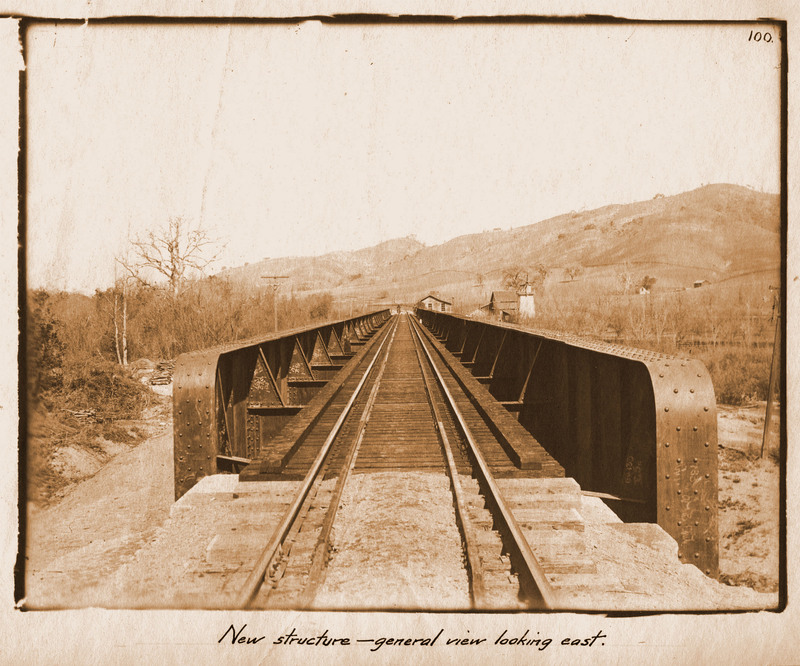 All bridges along the right of way for the Niles Canyon Railway undergo annual inspections as required by FRA Bridge Safety Standards Part 237. In addition to last year’s annual inspection by American Rail Engineer (ARE) on the Arroyo Da La Laguna Bridge at Mile Post (MP) 36.9, the inspection report outlined track, walkway, and structural repairs all with a priority rating of #2. The report showed that Pier No.2 was subsiding causing a major sag in the track profile across the bridge. The cause is due to major storm damage from 2016-2017. This has changed the downstream pathway and that undermined the integrity of the piers. The existing Niles Canyon Railroad Bridge over the Arroyo De La Laguna creek at MP 36.9, was completed in January 1899 by the Central Pacific Railroad (CP). This is our longest and oldest bridge. The bridge is built on 4 of the 5 original piers from an earlier wood Howe Truss through (covered) skew bridge that was constructed in 1869 by the Central Pacific Railroad as part of the extension of the original transcontinental railroad. The original bridge had just 2 center spans to cover 300 feet. The current bridge covers that same 300 feet in 3 spans, and so two new piers were constructed and the original center pier was removed. The 2017 detailed report has extensive photographs and recommendations for this five span bridge with two walkways. The engineer’s cost estimate for repairing four piers, replacing guard and walkway timbers, realign and resurfacing track, including engineering and construction oversight, is $115,000. Our right of way must be ready for our 150th Anniversary of the Transcontinental Railway Celebration. Please help us return this historic bridge to a state of good repair by making a charitable donation.